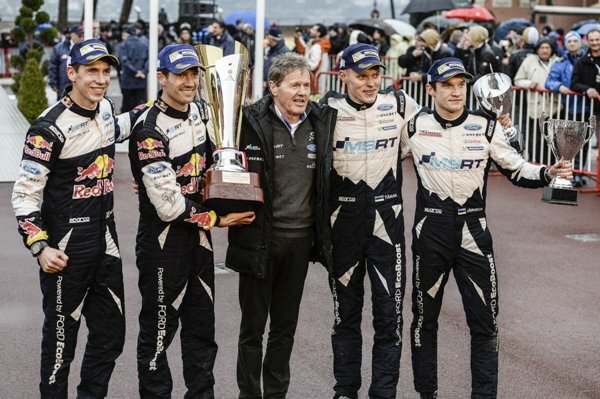 Sébastien Ogier claimed his fifth Monte-Carlo victory and his first for his new team scoring M-Sport World Rally Team's first win since November 2012. Jari-Matti Latvala finished second in a Toyota Yaris on the Japanese manufacturer’s return to the WRC after a 17-year absence. 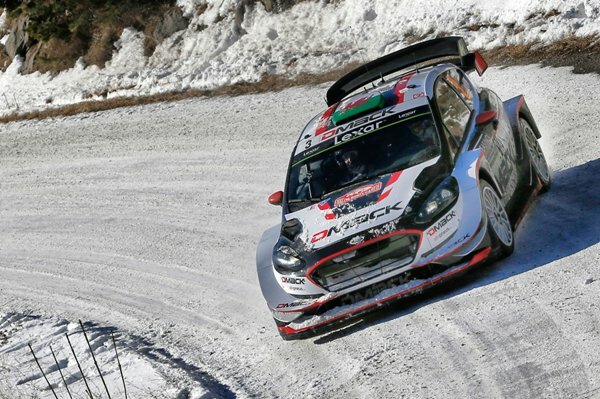 Final day engine problems for Ott Tänak denied M-Sport a one-two as he slipped to third place. Ogier took the lead late on Saturday’s penultimate leg when rally leader Thierry Neuville broke his Hyundai i20 Coupe’s suspension after an impact. Latvala struggled to find a good rhythm initially but changes to his car’s set-up revitalised the Finn. Third overnight became second when Ott Tänak dropped time with a broken ignition coil pack in his Fiesta and Latvala sped by. With no service, Estonian Tänak worked furiously to make repairs and did enough to hold onto third, fending off Dani Sordo’s i20 Coupe with a spirited downhill drive to the finish of the last special stage in falling snow. 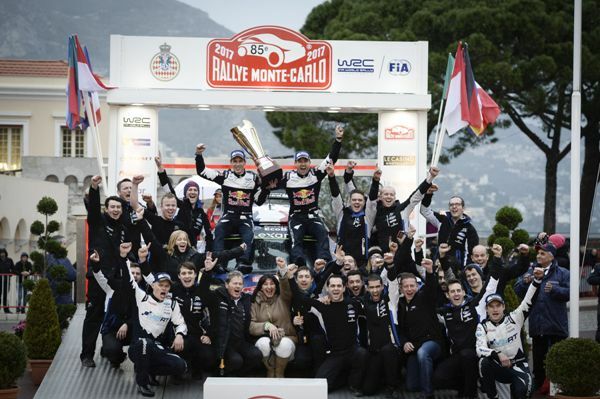 Craig Breen finished fifth in a Citroën DS 3, commenting: "The conditions were unbelievably difficult. I guess that's why the Col de Turini has become such an iconic test! I did wonder whether or not to go with the snow tyres for the final test, but I kept the slicks and it became more and more difficult the further we went on the stage. But we managed to make it to the end and stay in the top five, which is a great result." 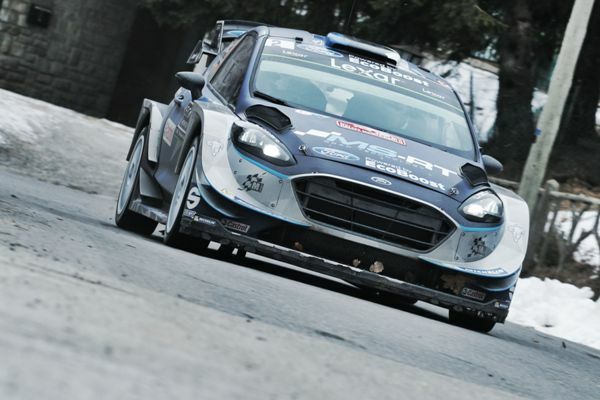 Elfyn Evans completing the top six in another Fiesta. The Welshman struggled for grip in the early stages, but as soon as the conditions became more consistent, he and Daniel Barritt were unstoppable. Securing more stage wins that anyone else throughout Saturday’s running, Evans set the fastest time on three out of a possible five speed tests and was untouchable through the second pass of ‘La Batie Montsaleon – Faye’ (SS12) – 7.4 seconds faster than his nearest rival. 10. Bryan Bouffier / Denis Giraudet (Ford Fiesta R5) +16:09.